Customers and contractors are constantly trying to find new ways to get financing for their next home improvement project. Lending waxes and wanes with the economy and the players are constantly changing. Mergers, acquisitions, and a whole new slew of companies have come on the scene within the last year. However, there is still a strong need for those individuals suffering with a low credit score. 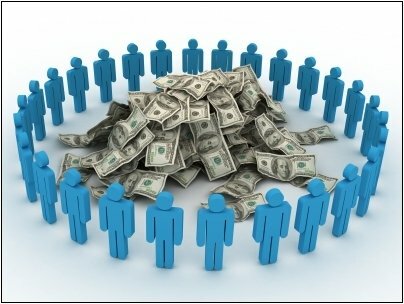 Crowdfunding is the newest craze and it may provide a viable option for these customers, as well as great rates for those with less trouble. The premise is simple enough, you go online to a website such as Prosper.com and fill out some basic information. Typically from this point, your credit and income would get analyzed by a loan officer and either approved or denied. The difference is with crowdfunding you can actually put a little story about your current situation and what you are looking to accomplish. From there, individual investors are able to contribute any specified amount of money to your account. Once the goal has been reached, no matter how many people it may take to do so, you get the loan at the agreed upon terms and rate. As an investment strategy, there are many people out there that diversify their portfolio and will take on the less credit worthy loans because they make a higher return on them. That is good news for everyone in the construction industry. We can now guide our customers to one of these websites instead of leaving them hanging. There is nothing worse then telling a customer in need that there is absolutely nothing you can do for them. It is important to always keep in mind that our jobs are to make peoples lives better, and sometimes this means stepping outside our comfort zone in order to do so. Contractors are not always known to be the most financially savvy individuals, and you do not need to carry a brief case or wear a suit and tie to provide this service. It is as simple as sending a link to a website and once in a while helping the elderly fill out the information. Give it a shot because you might be surprised. The worst that can happen is that the customer will still not get approved, and you are left right where you were before you started the process.